Compact cases can been difficult to build in at times. Over the years I have built a lot of small form factor PC’s. From my original low power builds, to my more recent S4 Mini builds, I have always found myself making some sort of compromise, typically using low power CPU’s and GPU’s. I wanted to build a compact system that didn’t have any of the performance limitations normally associated with small form factor builds. For me this meant a top of the line overclock-able CPU, with at least a GTX 1080 level GPU. The system also needs to stay relatively quiet. There is nothing worse then a crazy loud PC sitting on your desk annoying you all day. I quickly realized that the biggest issue became finding a case that was both very small, and also capable of cooling high end components. I looked at a ton of different case options, finally settling on the Lazer3D LZ7. The LZ7 stands out because it offers a crazy amount of ventilation and airflow, in an ultra compact form factor. It also has 70mm of clearance for CPU coolers in its stock configuration, which is much more than typical small form factor cases. Next it was time to select the rest of my components. I wanted parts could handle high end games, and rendering duties without breaking a sweat. I also need a decent amount of fast SSD storage for video files and games. I chose the Intel Core i7-8700K and Gigabyte GTX 1080 Mini. The Gigabyte 1080 Mini is the most powerful sub 9-inch graphics card available on the market today. Zotac makes a mini 1080 and 1080Ti, but they are slightly longer, preventing them from fitting in cases like the LZ7 or original S4 Mini. The 8700K is a 6-core 12-thread overclock-able beast. It is currently the best processor on the market for gaming, and handles rendering tasks with ease as well. Check out the full component list below. You may see 4 hard drives and be confused… understandably so. Due to my unique storage needs this is the best configuration for me. I use my drives in the following configuration. This is not a typical setup, but it works really well for me. Separating the media, and cache files helps maximize performance in Adobe programs. Installing all of my games on their own SSD also makes it easy to reinstall windows. Something I do pretty regularly. The Lazer3D LZ7 is an ultra compact case. It is in the shape of a cube. Its much smaller than the Phanteks Evolv shift case pictured. The S4 Mini on the right is about 1/3 of the height, but longer and wider. Building this system in the LZ7 was pretty simple. All the components fit perfectly as if they were custom made to fit inside this case. For the full build process and details check out the video below. For more information, and complete information on the build process, watch or read my review of the Lazer3D LZ7 Mini-ITX Case. I had more fun bench-marking this system than any other I have built in the past. For testing I pushed the system to its limits. I overclocked all three of the main system components. The system clocks were set to the following for all tests. With every component overclocked I was able to get some truly impressive scores on both CPU and GPU tests. Its incredible how much performance you can fit into this tiny case. The 8700K at 5GHz flew through my suite of CPU test, scoring in the 99th percentile in most cases. Asus’ Z370-I BIOS makes overclocking a simple process. The system was stable throughout testing. The GPU was almost as impressive as the CPU. Posting some really high scores across the board. I saw a noticeable bump in performance from my test scores in the old system featuring a non K i7-8700. All gaming benchmarks were run at 1440p. Every title tested was able to hit 60fps comfortably. With this configuration you can even game at 4K in some titles depending on graphic settings. About 95% of the time I run this system at 5GHz. For rendering I created a second overclock profile in the Asus BIOS that lowers the clock speed to 4.7GHz. While the system was stable at 92C, I don’t want to hit those temperatures consistently. The chart below shows the temperatures for the secondary rendering profile. The noise levels were very completely manageable. At idle, the system is whisper quiet. Its audible when gaming or rendering, but not loud to the point that its annoying. You don’t need headphones to cover up the sound coming from this PC like some compact systems I have had in the past. Using a 450 Watt power supply may not seem like enough on paper to power these components, but it is. Even at 100% load on the CPU and GPU you will still have a significant amount of headroom. Below you will find the avg wattage pulled from the wall for each CPU/GPU state. I set out to build an ultra compact, but powerful PC. What I ended up with was even more impressive then I thought it would be. The Lazer3D LZ7 is an incredible case. The flexibility it offers in such a small footprint can’t be beat. Being able to run an 8700K at 5.0GHz with an overclocked GTX 1080 Mini is simply amazing. This build has become my do everything portable PC. The only question is, how will I top this build. Awesome build bro, looking forward for benchmarks. What OS/Skin/Theme are you using in that video? How you can put 4 m2 devices into actual 2 m2 motherhood slots? 2 m.2 drives, 2 m.2 drives with SATA 2.5″ adapters. It allows me to future proof my hard drives. Can you provide a link to the m.2 drives with SATA 2.5″ adapters you used? I saw your wonderful PC for my mom video and was thinking about building something like that but with a ryzen 3 2200g build. Do you think the Realan E-W60 would work with the included power supply and stock stealth cooler which is 54mm tall? The case is 56/60 according to the website? Would really appreciate your help. The stock cooler is too tall, the power supply should work though. I’m currently looking at a similar setup. Mainly for the portable powerful and almost silent side. I have a be quiet dark base 800 i7 5960x gt 980ti 32gb ddr4 ram setup that’s just huge to move around. I’m OK to sacrifice some performance for portability. But not too much on the almost silent side. Im doing sometimes heavy after effects stuff (plug-ins) , and using other Adobe suite software. I’m really annoyed by fan noises. I can’t really relate to your dB measurements, so I have to ask, under heavy Ae / ps work, is your build OK to live with when you work 10 / 12 hours next to it? Under any workload but rendering it is pretty quiet. It’s not silent though, if you are looking for a silent system this is not it. Was the black fan included in the case? Was is the model of the case fan? I see it in the video, but cannot find a mention of the brand/name/model? But it looks like you beg to differ. Sorry I responded to the wrong comment there. The fan is the Cryorig CR-XTA 140mm. For those wondering, as of today, this build costs 2485.08$. Thats without the case fan that’s mentioned. A little expensive for my taste but like the build. Maybe you could still push the OC capabilities if you could fit some watercooling, though its hard to tell from the video/pic what radiator could fit. Any idea how well this runs Escape from Tarkov? Not sure sorry. I have never played that game. 2x M.2 SSDs inside what appear to be StarTech M.2 SSD to 2.5″ SATA III Adapters (attached to LZ7 HDD docking panel) and cabled to SATA ports on the motherboard. This took me a while to figure out as the M.2 slots on the motherboard are not visible in the video, and only 2 M.2 adapters are ever seen installed. Thanks Steve. I should have done a better job explaining my storage setup. For the Lazer3D, the left panel doesn’t show an option for a vandal, but the right does. Could you look over my option selections to make sure I’m following the correct build? Thank you. I believe you can only have the power button on the right side. You wouldn’t be able to install a GPU with it on the left side. I’m quite impressed with your itx plataform building videos. Nice job, dude! I wonder if u can do a sequence video like the one u made named “Versus Ep 1: NFC S4 Mini vs. Logic Supply MC600” comparing the NFC S4 mini vs Lazer 3D? Also, could u explain why choosing Intel i7-8700K instead of AMD Ryzen 1700/2700? I watched your video with Biostar itx AM4 X370 and also wanted u to coment about the new ASUS ROG Strix X470-I Gaming, since u said it would be nice to upgrade from Biostar mobo. Hey Robert, I do not have a versus planned at the moment but if I get the new S4M I may do one. I chose the 8700K because its still the best overall consumer chip at the moment. It still offers better gaming performance, and for rendering it is a beast. The Asus ROG X470-I is the best mini-itx Ryzen motherboard. Similar to their Intel boards, the amount of features they pack into these boards is second to none. I have several questions about compatibility. Would this also work with Corsair Vengeance LPX 16GB (2x8GB) DDR4 DRAM 3000MHz C15 Desktop Memory Kit – Black (CMK16GX4M2B3000C15) instead of your RAM? I also want to cut on the storage, is it possible to get a fast ssd 250 Gb and 2TB hdd in it, and what would you recommend? As last, does the link of your case already has the right configurations? 1. Yes, you can use that RAM without issue. 2. I would go with a 970 EVO 250GB for the boot drive, and probably the cheapest 2.5″ Western Digital/Seagate HDD I could find. I would opt for that size so you can upgrade more easily in the future. 3. The link does not, you will have to configure the case yourself. Hi, could you tell me what is the weight of this compact PC ? (case with all components inside). Looks great and actually I am looking for something like this since I travel too much in my job. hi Jay, thanks so much for the video. i was considering building this for an audio production PC MINUS the gpu. my concern is the noise. if i was to use a mid-tower case with noctua or bequiet fans for example, would that result in a quieter build than the mini-itx build you’ve provided here? Yes, Noctua fans should run a tad bit quieter. Although there is no Noctua 140mm slim fan yet. Running your drives in RAID would be fine if you have no need for separate drives and want the additional speed. Hi, I am eager to assemble according your guide, but I am curious about all this cables and how to put them. Is there any possibility to get that guide from you? I don’t suppose you know if this would run macOS, do you? I used both m.2 slots. One for each NVMe drive. The 2 500gb 850’s are SATA drives. I have since upgraded my drives to dual 500GB 970’s, and dual 1TB 860’s. Are the updated parts on the current build list? Awesome work by the way. Thanks for the reply, Jay. I’m also going with 970s for NVMe drives and 1 Tb 860s for the SATA adapters. Great site! I just built a computer like yours. However, the idle temperature in the range of 38 degrees with the room temperature is 18 degrees. So I want to ask you what is your room temperature at? I have been admiring your build for a long time, so I’m building a similar one, the only thing that is missing is the cooler, can you tell me If It’s possible to arrange the NH-L12s in four different orientations? 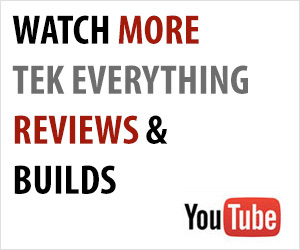 This is the best ITX build I have ever seen on YouTube. But please I checked for Lazer3D LZ7 Case on Amazon I couldn’t find it there please any ideas or suggestions on alternative of that case available in Amazon now . Click the link in the build list – the LZ7 is only available from Lazer3D. It’s a UK company but they ship to the US. I didn’t see a source for the 120mm case fan? 33db is the noise level when the system is idle. But what is the noise level when the machine is off ? Thanks. what CPU cooler have you used, I have a small case and it gets so hot, would love to try and fit a i7 8700k in there. Is the SF450 enough power for stock Ryzen 2700 and 1080? How did you overclock your system? Did you leave it at 5.0 or did you let it ramp down? I’m trying to oc mine to 5.0 but keep it locked at 1.36v or less. I’m not sure on how its done so is there anyway you can screen shott your bios settings and i can work with that? Im dont use social media much or really leave comments but on my quest to find a small case for my next build i came across your video and wanted to say thanks. Im finally going to upgrade my a10-5800k and im eyeing the Lazer3d case. Your content is great. Thanks for the great videos. Hello Jay, love your build. I would like to build a similar one aesthetically but not internally. All I would really use it for is editing in 1080, potentially 4K, editing photos and tinker with rendering intros etc. I would also use it to stream movies at 4K and maybe some light gaming since I primarily game on console. Could you please help me out on choosing the proper parts for my build, I admire your super build but I’m still new to this and would like to upgrade it over time as I learn more. Thanks in advance and looking forward to more of your videos.